An Interview With The Grammy-Winning, THE O’CONNOR BAND! 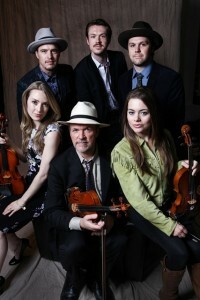 The O’Connor Band, on Rounder Records, is comprised of acclaimed GRAMMY® Award winning fiddler/violinist Mark O’Connor and his family members – wife Maggie O’Connor (fiddle), son Forrest O’Connor (mandolin and vocals) and future daughter in law Kate Lee (fiddle and vocals); with National Flatpick Guitar Champion Joe Smart and double bassist/old-time banjoist Geoff Saunders. 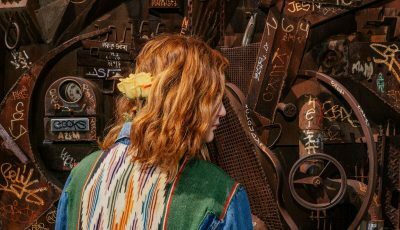 Together, this group performs a dynamic show featuring compelling arrangements of Americana — rich with virtuosic solos, and tight vocal harmonies. 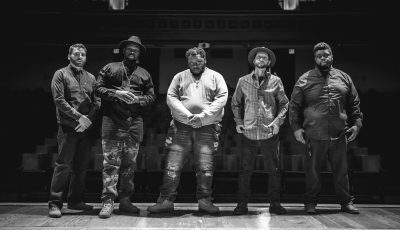 The O’Connor Band received a GRAMMY® nomination for “Best Bluegrass Album” after spending nearly half of the year at the top of Billboard’s bluegrass album chart and in fact, they recently won at this years Grammy Awards! 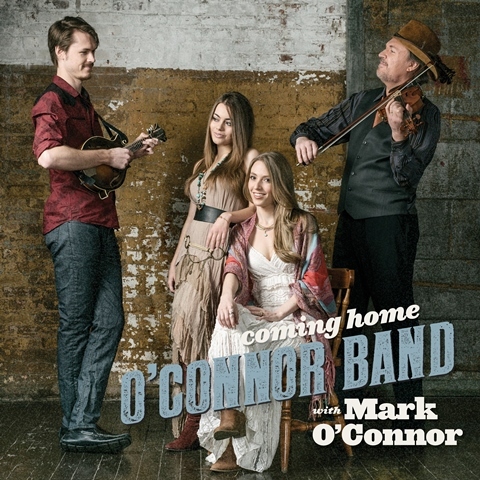 Mark O’Connor’s creative journey began at the feet of a pair of musical giants — folk fiddler and innovator who created the modern era of American fiddling, Benny Thomasson; and French jazz violinist, considered one of the greatest improvisers in the history of the violin, Stephane Grappelli. Working with classical violin icons Isaac Stern, Itzhak Perlman, Yehudi Menhuin and Pinchas Zukerman, Mark absorbed knowledge and influence from the multitude of musical styles and genres in which he studied and participated. With his body of work, including 45 feature albums of mostly his own compositions, Mark O’Connor has melded and shaped these influences into a new American Classical music, and a vision of an entirely American school of string playing. In 1986, O’Connor, Edgar Meyer, Béla Fleck, Jerry Douglas, and Sam Bush formed the band Strength in Numbers, which played some of O’Connor’s own pieces. His first GRAMMY® award came in 1991 for his album New Nashville Cats. His music became increasingly sophisticated, utilizing elements of folk, classical, jazz, and world music — what he calls the “four pillars of string playing.” His first album on Sony Classical, Appalachia Waltz (1996), with cellist Yo-Yo Ma and bassist Edgar Meyer, impressed classical critics with its originality and attractiveness and became a huge crossover hit. The trio’s next album, Appalachian Journey (2000), won O’Connor his second GRAMMY® award. His Fiddle Concerto, composed in 1993, has been performed around the world hundreds of times. By 2010, he had written another six concertos and the Americana Symphony, recorded by Marin Alsop and the Baltimore Symphony. Thanks for your time! So, now that 2016 is over, what are some words you would use to describe the year for you? What were some of the highlights for the band? What are you most excited about for 2017? Did any of you make New Year’s Resolutions? Can you talk about how your family first decided that you could be in a band together? Was it a hard decision to come to? It was a bit of a hard decision to form a professional band out of grown family members. It all began when I asked Forrest, Maggie and Kate one by one, each successive year to join me on my annual Christmas tours across the country. That is how we all ended up on stage by 2014. My family consists of sincere individualists and of course, I am an ultimate musical rebel. I am used to taking the most difficult route and I like it that way. So we have to watch out for each other a bit and make sure we are committing to the same things we all want. Sometimes ideas shillyshally a bit because there are young musicians in my family who are discovering, and heck I am still discovering. An example could be that one of us might think that we should do more pop, another one more country, another one more bluegrass or Americana, and there I am playing my violin going, guys check this out! Look at this classical music orchestration I created or we could turn this song into experimental jazz! We want to find a direction that makes sense for us and that begins in bluegrass because that is where we all started as kids anyway. What do you think is the easiest and most challenging part about being in a group together? Congrats on being nominated for a Grammy this year for Best Bluegrass Album! What does that feel like? Were you surprised when you first found out? Are you looking forward to performing at the Grammy Awards Premiere Ceremony? Mark, would you say that what drives you to make music these days changed at all? How do you approach writing these days? I would say that my recent “The Improvised Violin Concerto” and my “Americana Symphony” recorded by the Baltimore Symphony are two of my best works as of late. I also have taken my abilities to orchestrate and arrange to our bluegrass band. Everyone in the band has had some kind of formal training and reads music. One of my compositions I brought to the CD is my “Fiddler Going Home.” I scored it like a classical composition complete with six individual staves, a line for each of us to perform throughout the entire piece. It was like chamber-bluegrass music. Listening to it, people would have a hard time believing that it was scored in that way. That was a real highlight for me to see through. Arranging some of the 3 fiddles in our band for the songs has been really a lot of fun. With Geoff and his beautiful bass arco work, we can turn ourselves into a legitimate string quartet with the flick of the bow! What musicians continue to inspire your music? Is there anyone that you would love to work with one day? 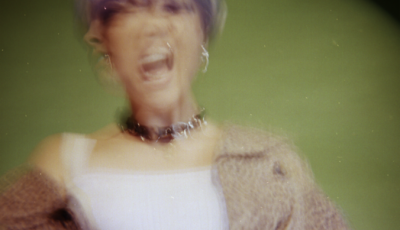 When you aren’t performing, working in the studio, what do you like to do for fun? How do you four unwind from it all? Is it easy to turn off the music and just be a family together or do you find that you are always talking about the music? An Interview With the Brooklyn-Based Garage Punk Band, EX-GIRLFRIENDS!